How to watch Shadowhunters: The Mortal Instruments: Season 3B: Aku Cinta Kamu on Netflix Norway! Yes, Shadowhunters: The Mortal Instruments: Season 3B: Aku Cinta Kamu is now available on Norwegian Netflix. It arrived for online streaming on March 26, 2019. 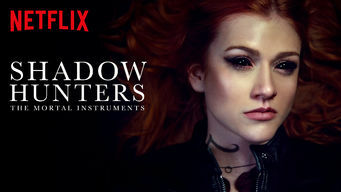 We'll keep checking Netflix Norway for Shadowhunters: The Mortal Instruments: Season 3B: Aku Cinta Kamu, and this page will be updated with any changes. Consumed by the Twinning Rune, Clary flees with Jonathan to a Downworlder club, where they hope to obtain Morning Star. Izzy tries to reforge Glorious.